The Township of Chatsworth administers various licenses and permits for businesses, individuals and organizations to ensure public health and safety, consumer protection, fairness in business practices, and quality control of service. The application process and associated fees will vary depending on the type of application, license or permit required. Some frequently requested applications and links to related information are provided below. The Province of Ontario issues birth certificates. For more information on birth certificates, please visit ServiceOntario. The Province of Ontario issues death certificates through the Office of the Registrar General. For more information on death certificates, please visit ServiceOntario. The Province of Ontario issues marriage certificates through the Office of the Registrar General. For more information on marriage certificates, please visit ServiceOntario. The Alcohol and Gaming Commission of Ontario governs and manages liquor licensing in the Township of Chatsworth. For more information on Liquor License Applications including Special Occasion Permits, please visit the AGCO website. The Township of Chatsworth issues lottery licenses to eligible charitable organizations. For more information on Lottery Eligibility, Applications, Use of Lottery Proceeds and Lottery Licensing reporting, please contact the Deputy Clerk at 519-794-3232. Marriage Licenses can be obtained at the Township of Chatsworth office. Please contact the Clerk’s Department for further information. Open Air Burn Permits are required for open air burning. Please refer to the Open Air Burn By-law and Burn Permit form. Anyone wishing to construct an entrance must apply for an Entrance Permit.  Access onto a Township road must be applied for through and approved by the Township of Chatsworth. Access onto a county road must be applied for through and approved by the County of Grey Transportation Services. Access onto a provincial highway must be applied for through and approved by the Ministry of Transportation. In order to apply for a civic number you must first have a legal entrance. All civic number requests are applied for at the Township Municipal Office. The current cost of obtaining a civic number is $175.00.